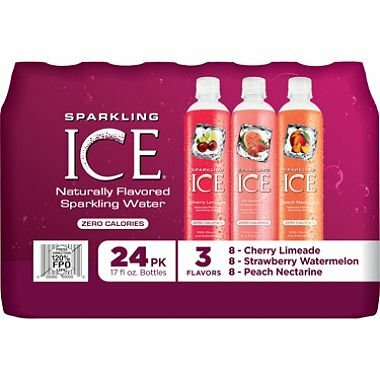 Refreshingly bold and bursting with real fruit flavor with just the right amount of fizz, Sparkling ICE delivers irresistible fruit combinations without all the calories. Cherry Limeade combines the sweetness of fresh cherries mixed with a hint of tangy lime create a flavor so out of this world, you can taste it from space. Strawberry Watermelon is all about luscious strawberries and sweet watermelon to make a flavor you don't just taste, you experience. Peach Nectarine takes the best of both worlds to make sweet, juicy bliss. What's the difference between a peach and a nectarine? It doesn't matter. What matters is the delightful taste of this perfect duo.